PARIS, France and SAN DIEGO, California – August 29th, 2016: Akuo Energy (“AKUO”), the leading French IPP in renewable energy, and Eurus Energy America Corporation (“EURUS”), the Toyota Tsusho Corporation subsidiary responsible for renewable energy investment in the Americas, today announced the successful commissioning of Florida II, a 50 MW wind farm in Uruguay of which they are joint shareholders. Florida II is the second project in Uruguay jointly owned by Akuo Energy and Eurus. Uruguayan households. The electricity generated by Florida II will be directly purchased by UTE, Uruguay’s state-owned grid operator, within the framework of a 20-year dollar-denominated and inflation-indexed power purchase contract. Florida II will be equipped with 15 Vestas V117 turbines with a nominal capacity of 3.3 MW each. Florida II is the third asset brought on line by Akuo Energy in Uruguay, hence taking its installed capacity in this country to 142 MW, and therefore benefited from a very steep learning curve. Most of the parties were the same (notably turbine supplier (Vestas), senior lenders (KfW IPEX-Bank and EKF) and shareholders (EURUS)) as those involved on the Minas project. 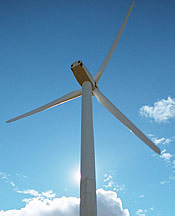 SACEEM, a strong local BOP contractor has been chosen for building the Florida II wind farm. All the aforementioned parties made it possible to complete the financing and construction in record time, i.e. 3 and 12 months respectively. This is thus the second project successfully implemented jointly by Akuo Energy and Eurus. Eurus Energy America is the wholly-owned subsidiary of Tokyo-based Eurus Energy Holdings (www.eurusenergy.com) and is responsible for renewable energy investment in the Americas, now comprising more than 770 megawatts in wind and solar power generation. Eurus Energy Holdings, owned by Toyota Tsusho Corporation and Tokyo Electric Power Company Holdings, Inc., is a global developer, owner and operator of renewable energy facilities, including both wind and solar, with more than 2,300 megawatts worldwide. Eurus Energy America, headquartered in San Diego, California, has been active in the United States for over twenty five years, beginning operations in California in 1987.